Usability testing is a process that employs a sample of future users to evaluate software according to specific usability criteria. With the unprecedented growth and reach of the Internet, it is hard to reach representative users of Websites across the world. The new branch of remote usability testing has emerged as an alternative. While it is prohibitively expensive to conduct usability testing on a global range of users, it is technically possible and is more feasible to remotely collect the necessary information about usability problems and to analyze them the same way we do local tests. 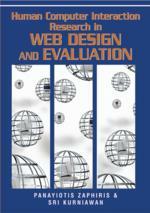 In this chapter, we present systematic methods and tools to support remote usability testing and evaluation of Web interfaces.